Moses was as great a man as any in history. 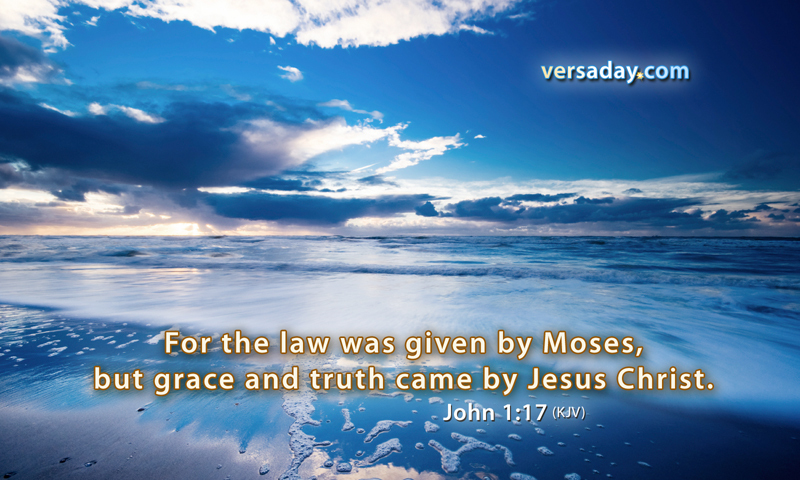 Through him God gave us the Law which tells us what we should and should not do, and thusly reveals to us our character as law breakers and transgressors against the will and law of God. Because of our natural character of sinfulness, willfulness and rule-breaking which we everywhere witness in all places and at all times and as reported in our daily newspapers and newscasts, THE LAW CAN ONLY SHOW US WHAT WE ARE, BUT CAN GIVE US NO POWER TO CHANGE. What a dark and somber picture. Then we see the Lamb of God, our blessed Savior Jesus Christ! WHAT A CONTRAST! No longer the dark, gloomy thunderclouds of God’s wrath because of our willful disobedience, but grace and truth, forgiveness, blessing and acceptance with God. JESUS FULFILLED ALL THE DEMANDS OF THE LAW by obedience to the Father’s will, and THEN PAID THE PRICE for our disobedience by His death on the cross. When we come to Jesus, we are born again, born from above, born of God and we are made a new person in Him. Moses was a great man and God used him to reveal the law that can only work wrath and reveal guilt and shame but GRACE AND TRUTH CAME BY JESUS CHRIST! Blessed be his name forever. Amen.